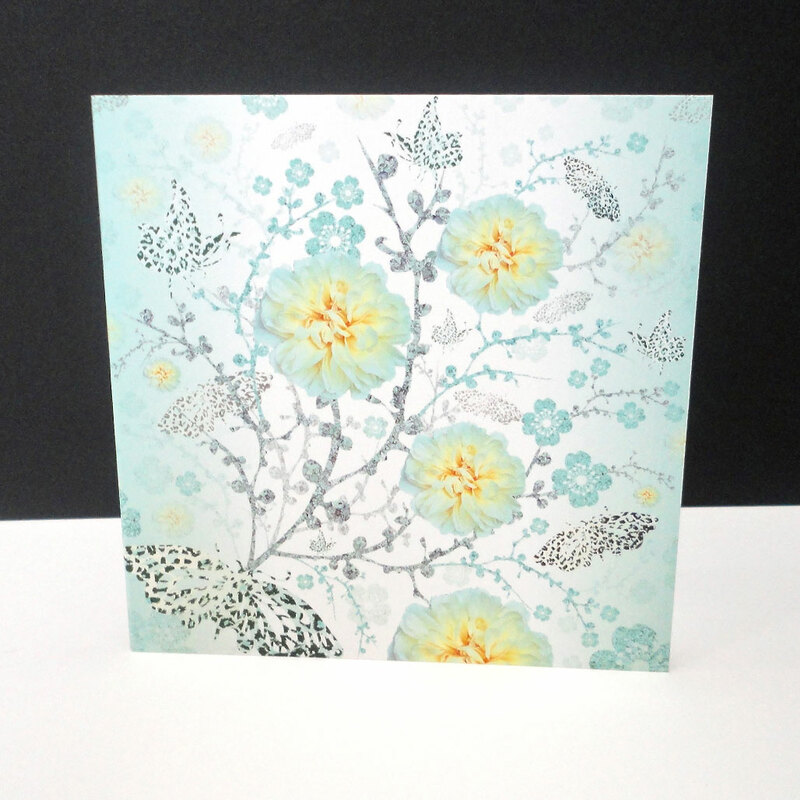 This 'Butterfly Blossom Collection' of four cards includes two of each design. 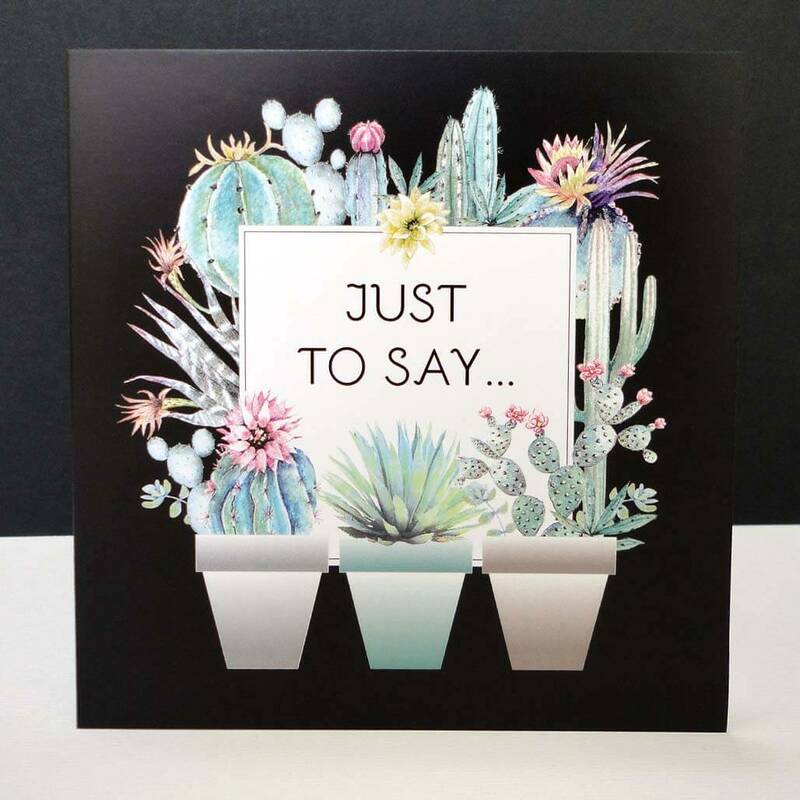 Two cards say 'Thank You' and two are left blank – ideal for any occasion! The 'Butterfly Morning Blossom', set on a white ground with soft, turquoise ombré tones closing in on the scene from both sides, brings a fresh Spring morning to life. 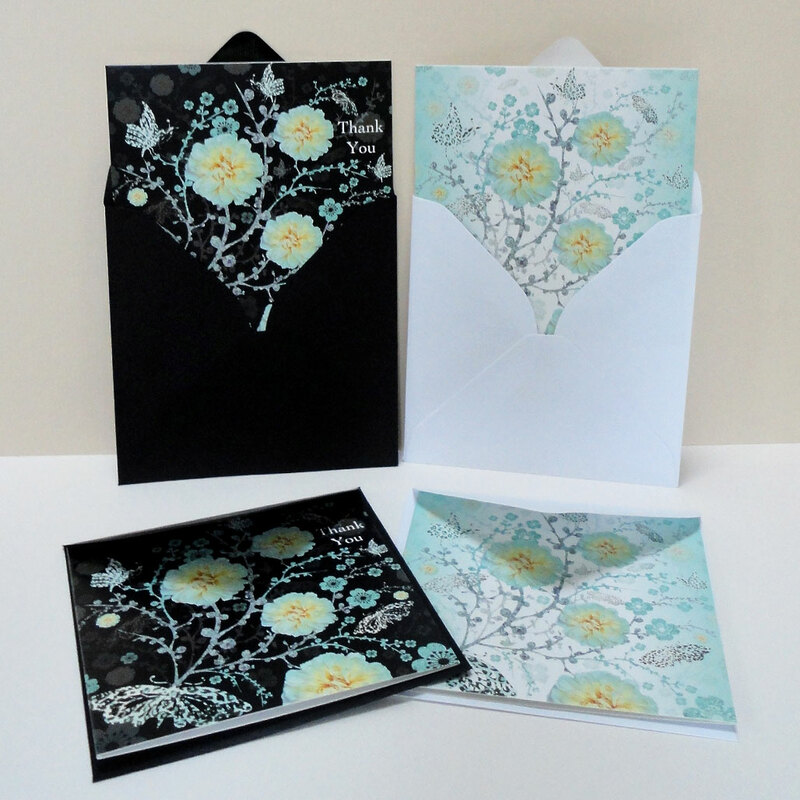 Opaque layers of blossom and branches appear like shadows in the background. Beautiful butter yellow photographic roses with blue tinted petals attract the speckled skin-print butterflies to flutter around this bush of blossom. 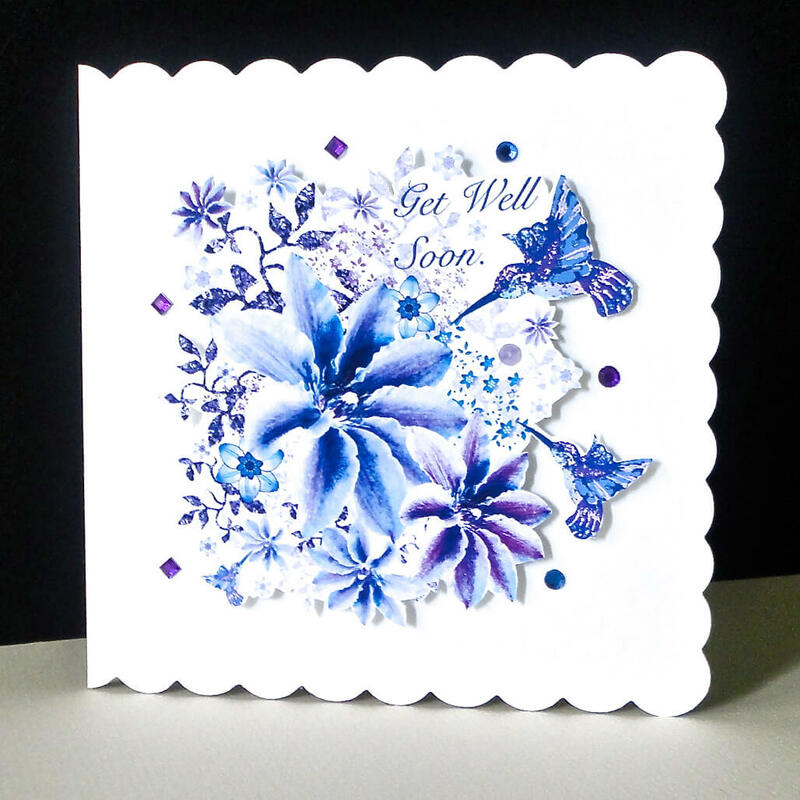 Perfect for any occasion – Birthday, Thank You -Easter or whenever you need a card. 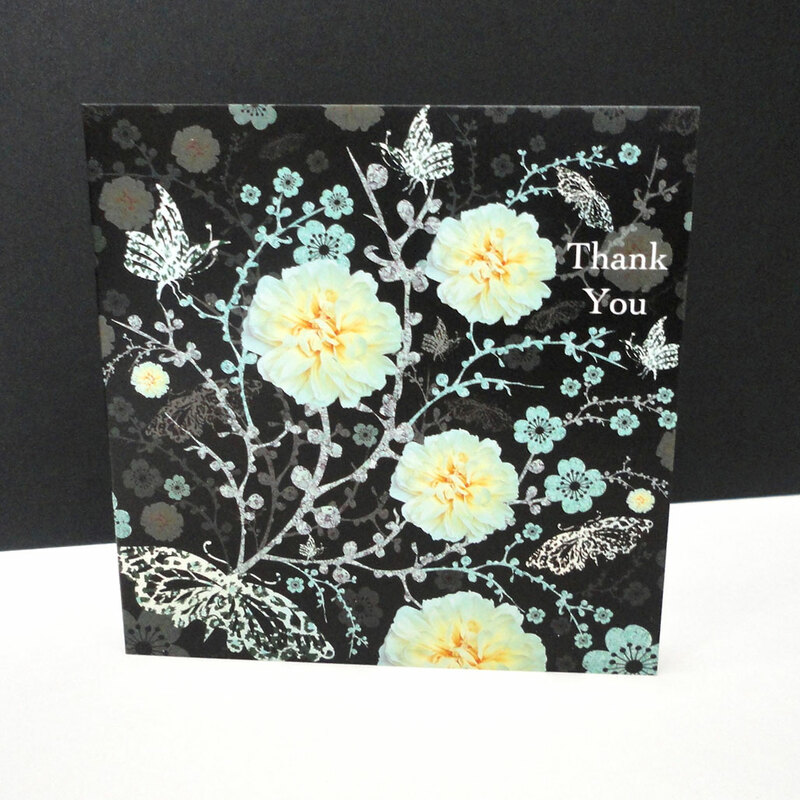 The ‘Butterfly Eclipse’, with a black background, reveal branches of blossom and butterflies spotlighted in colour, with the text ‘Thank You’ on the right side. 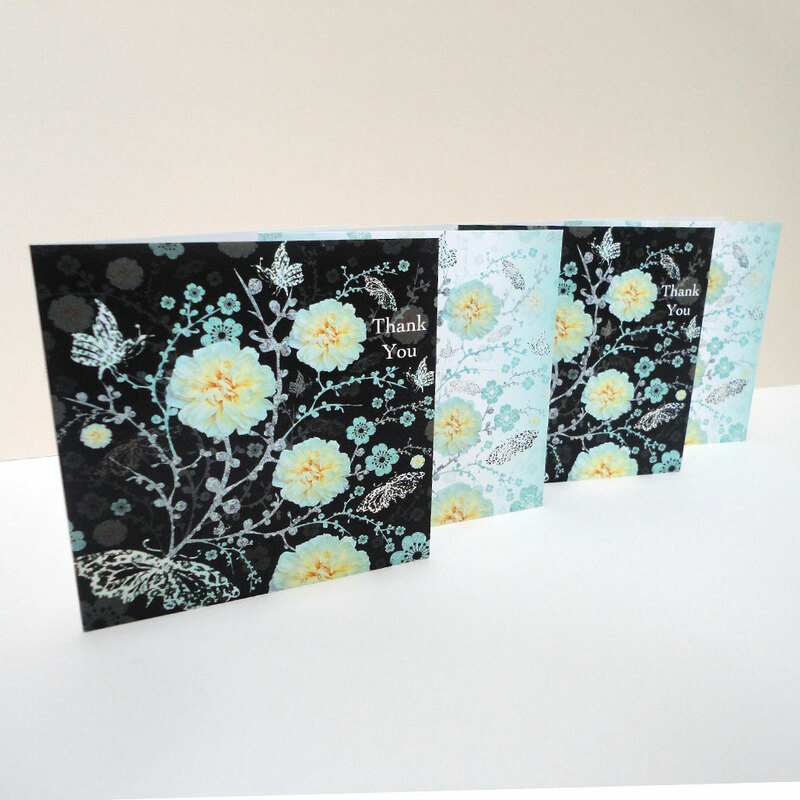 The textured and stylized blossom bush in greys and aquas is in stark contrast to the beautifully soft, butter yellow flower heads of the photographic roses. Drawn to the light are the delicate flecked skin-print patterned butterflies that flutter around in the darkness of night. 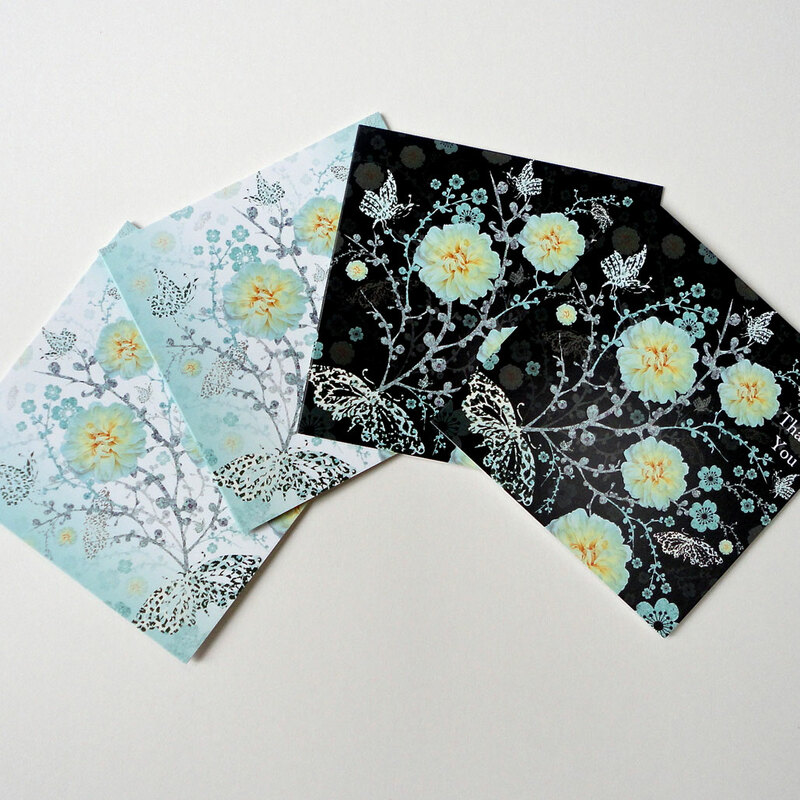 A pack of four cards, two of each design are blank inside for your own personal message. 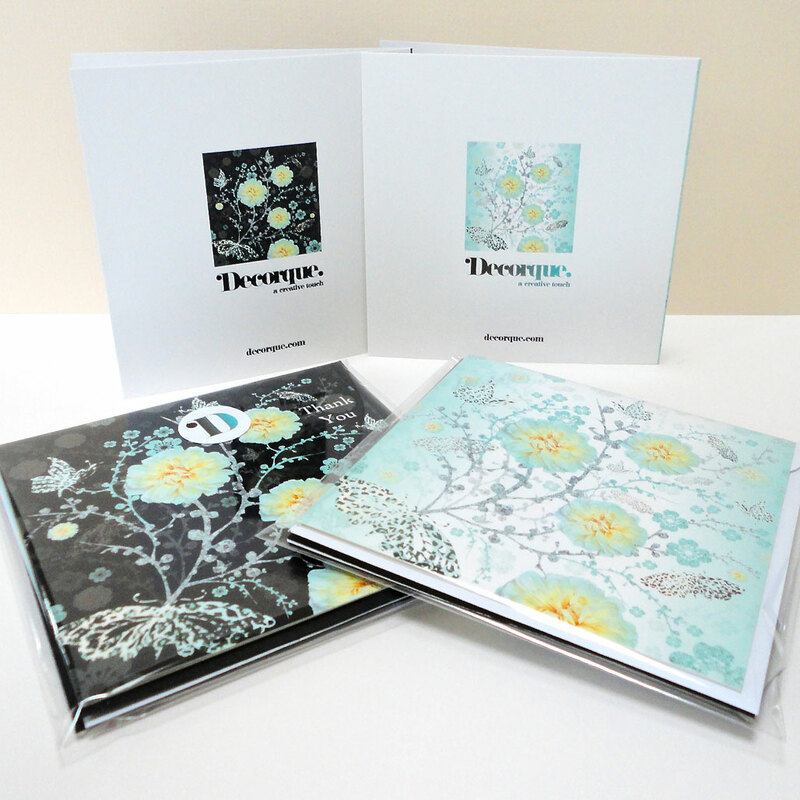 Size: 125 x 125mm square with matching black and white envelopes.